We’re Fundraising for Families Affected by Disaster! PPC is changing, but don’t panic! Have you ever found yourself on a website on your phone endlessly scrolling horizontally to read the tiny text? This is because the website has not been optimised for your phone. Thus reducing the quality and functionality of the website. 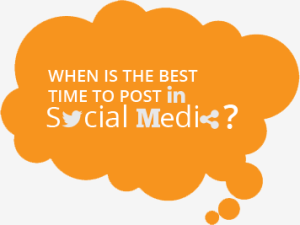 Social Media Engagement: When is the best time to post? The topic of social media engagement has never been more important for modern companies. With more and more organisations adopting social media as a main part of their marketing plans, consumers have come to expect high levels of personalized interaction, quality content, and frequent updates via social media. The Restructuring of Google into Alphabet – What does it mean? Since Google launched in September 1998, very little has changed to the company itself. New ideas have been tried, new ventures explored, but Google as a company has remained at the centre of it all.